WOMEN WHO KILL THEIR ABUSERS: HOW DO CRIMINAL JUSTICE SYSTEMS RESPOND? Linklaters LLP and Penal Reform International are today publishing a new multi-jurisdictional study on how women who have killed their abusers following prolonged domestic abuse are treated in law and before the courts. The number of women globally who have committed violent crimes is very small . Women are far more likely to be victims than perpetrators . However, when women have been convicted of murder or manslaughter, in a significant number of cases the victim is a male partner or male family member and there is a history of domestic violence . ‘Self-defence’, for example, often requires the act to be in response to an imminent threat. The psychological state (termed by experts as ‘battered woman syndrome’ or ‘slow burn reaction’ ) of women who have experienced years of debilitating emotional and physical abuse means that they often do not, and cannot, react immediately, and are therefore unable to rely on this defence. The report also showed that in the majority of the jurisdictions surveyed, courts are not equipped with the right guidance, or show a reluctance, to take victimisation consistently into account as a factor either in establishing culpability or in sentencing. This research was conducted pro bono for PRI by Linklaters LLP and brokered by Advocates for International Development (A4ID). 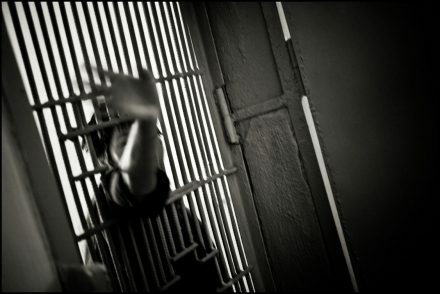 For instance, in Argentina, Brazil, and Costa Rica, significantly over 60 per cent of the female prison population is imprisoned for drug-related non-violent crimes, and PRI’s research shows other common offences are property-related, such as theft or fraud. The UN estimated that 47 per cent of female homicide victims in 2012 were killed by their intimate partner or family members. See: UN Office on Drugs and Crime, State of crime and criminal justice worldwide, 2015. In Uganda, for example, 20 per cent of women surveyed by PRI were convicted or charged with murder or manslaughter of a male family member. The most common reasons given were protection of children/family, self-defence and domestic violence or other abuse. See: Who are women prisoners? Survey results from Uganda, PRI, 2015. ‘Battered woman syndrome’, a construct developed by Dr Lenore E Walker, describes the psychological mind‑set and emotional state of female victims of abuse and can explain why women often stay in abusive relationships. ‘Slow burn reaction’ seeks to explain why women in a situation of abuse tend to not react instantly to the abuse, partly for psychological reasons but also because of the physical mismatch between the abuser and the victim, which makes an imminent response seem futile or even more dangerous to the victim.